Spring is here, which means birds chirping, longer days, and — our favorite — colorful new vegetables. Learn how to bring the bounty to your table with our spring produce guide! After a long winter, there is something almost magical about the revival of our favorite fresh ingredients. 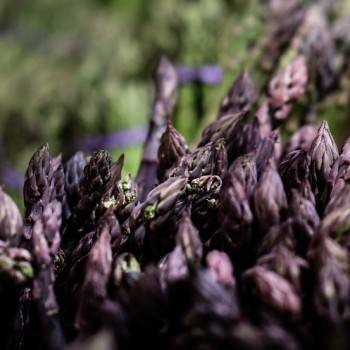 This week, chefs have been waking up even earlier than usual to be the first to find the newest arrivals at the farmers' markets, from wild artichokes to the much-anticipated ramps (fingers crossed: any day now!). Explore a selection of new spring produce below. 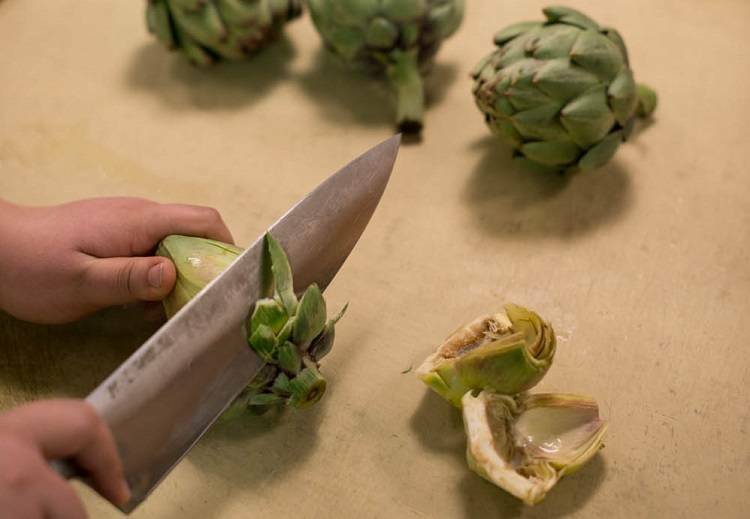 The thistly artichoke may look intimidating, but the meaty edible flower buds are worth the effort to trim (click here to learn how!). Native to the sunny Mediterranean, the artichoke is a popular ingredient in Italy – and at Eataly. 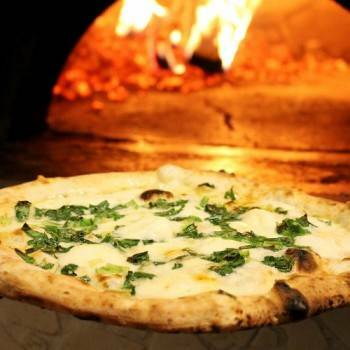 Our chefs like to prepare the versatile plant in a variety of ways: braised, baked, roasted, toasted – you name it! 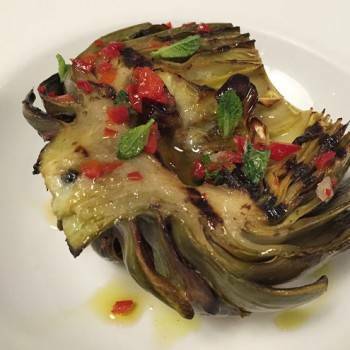 In the image below, we grilled a whole artichoke and topped it with Fresno peppers, lemon oil, and fresh mint. 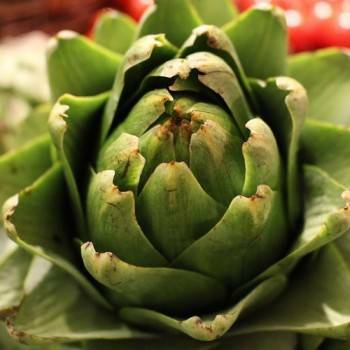 We also love artichokes "alla romana," a tender flavorful take on the vegetable. Touted for its strong texture but delicate taste, the reappearance of the asparagus invokes spring. The herbaceous plant is one of our favorite ingredients, whether served on the side, incorporated in risotto or pasta, or offered as the main event of the meal. 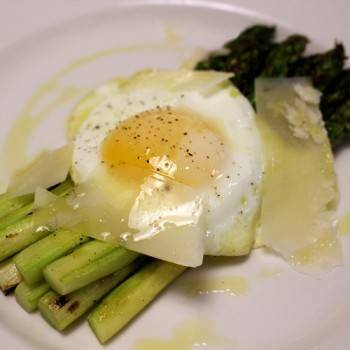 To prepare the delicious dish pictured below, our chefs topped grilled asparagus with a fried egg, Parmigiano Reggiano, and freshly-ground black pepper. The spring pea’s sweet flavor and gentle crunch lends itself to almost any cooking method, from steaming on its own to pureeing it into a delicious filling or refreshing soup. We love to season any spring pea recipe with fresh mint for an especially light flavor combination. 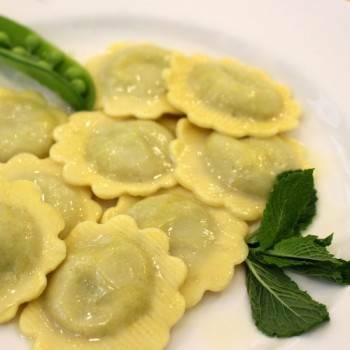 Paired with a light butter sauce, the delectable ravioli pictured below are filled with spring peas, ricotta cheese, Pecorino Romano, and mint. Each bite invokes a fresh breath of spring (get the recipe!). 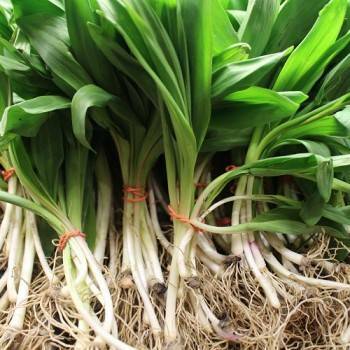 Ramps – a wild spring onion – can only be foraged in the early spring, making them a rare commodity. 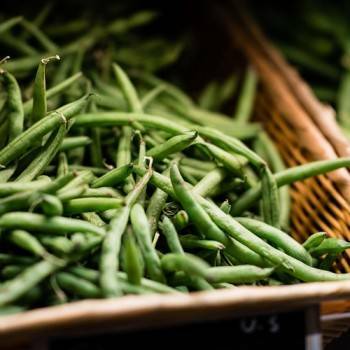 Since ramp season lasts a few short weeks, we stalk our local farmer’s markets at the start of each season to bring the best of the coveted spring vegetable to our marketplace and your table. As spring grows into full bloom, more and more vegetables will hit the shelves. Keep your eyes peeled for beets, radishes, fava beans, morel mushrooms, and beyond. There are countless ways to enjoy spring produce: check back for more recipes as the season progresses. In the meantime, if you went a little crazy at the farmers' market and have an abundance of spring produce on your hands, try pinzimonio, a simple shaved vegetable salad that has been happily crunched since the Renaissance. Best of all, the dish works for nearly tutte le verdure, or all of the vegetables. Get the no-recipe "recipe."